In the age of the internet, it is becoming more and more beneficial to learn a new skillset like graphic design or website design. Whether you’re a marketer or a student, there will likely come a time when you need to create some graphics – be it for a blog, social media, or a presentation. We’ve compiled a list of 5 tips to ensure your designs don’t look like something created in MS Paint. Create a folder on your desktop or create a board on Pinterest and collect work you think is successful. This will help you identify trends and give you a foundation of work to deconstruct and analyse. It will also be an indicator of the kind of work you’re drawn to and what style you tend to like, ultimately helping you to find your own style. Browse sites such as Dribbble, Behance, Designspiration, Niice.co, and 365 Awesome Designers. Don’t limit yourself to only finding inspiration in other graphic designers’ work. Start training your eye to pick up details in film, television, art, and architecture. Every scene, brush stroke, background, colour scheme, angle, and placement was intentionally used. Try to analyse why the creator chose to include those details. Research colour psychology and film composition and apply it your design. Carefully look at the inspiration you’ve collected. How did the designer/creator achieve the design? Try to figure out the process they used and remember that fundamentally, each design was built using simple shapes – it’s all in how the designer combines them. See if you can figure out the tools used or which element was designed first. It may be difficult when you’re first starting out but the more you learn, the easier it will become to dissect the process. By analysing a wide variety of designs, you’ll learn that there are multiple ways to achieve a desired result. 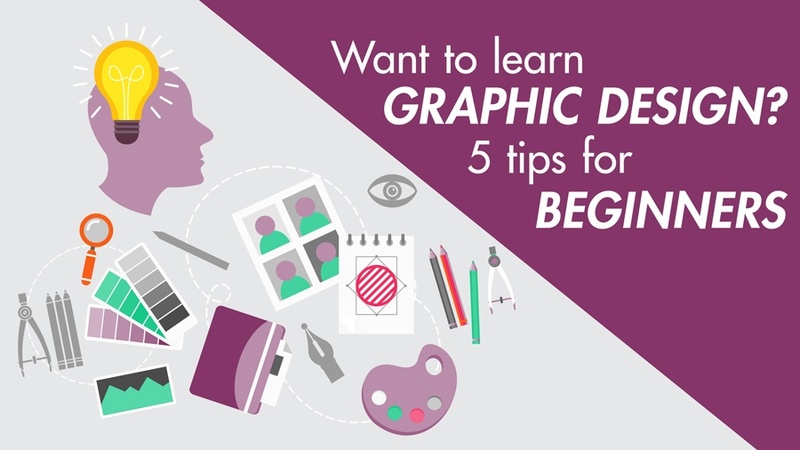 Download free design resources and carefully look at the layers and tools to learn how the designer created the graphic. After analysing your inspiration, you might find that you want to search for a specific tutorial but your knowledge of design terminology is lacking. This will probably lead to results that are too broad. Start by building on your terminology by browsing a design glossary in order to get the wording right for a specific style or technique. Get specific with your searches so you can find the right result and get familiar with design language. Now that you know how to search for the right technique or style, start looking for tutorials on YouTube or blogs that are in line with the style and niche that’re interested in. Be patient with yourself – no one can become a designer overnight. In the beginning, you’ll need to do a lot of tutorials and create a lot of work but with time, quantity should turn to quality once you start grasping the tools and processes. Once you have some original designs on the go, the next step is to get some constructive criticism from an experienced designer. Don’t let your ego get in the way of this and try to separate yourself as a person from your work. Hearing a critique of your work might be intimidating but it’s a great way to learn and improve. However, it’s important to remember that design is subjective and you don’t have to agree with the feedback offered to you. Someone else’s differing opinion does not make you wrong, but make sure your reasoning is justified. If you don’t know any experienced designers, you can join communities like Inbound.org and Reddit’s r/designcritiques and let viewers comment directly on your design. It’s also wise to ask your friends, family, and peers because your target audience won’t just be fellow designers. Your designs will have to make sense to the layman too. The hardest part of learning a new skill is getting started. Set yourself small, reachable goals and don’t overwhelm yourself with creating a schedule of lessons you can’t fit into your daily life. Everyone started somewhere so don’t be too hard on yourself and compare yourself to other designers with years of experience. Now go out there and make some magic.